This is an easy going everyday red wine blend from the Navarra region of Spain. The blend is 52% Tempranillo grape and 48% Granacha. This blend presents a deep red color filling into a deep black core in the center of the glass. To the nose, the Red Guitar has crushed raspberries, black pepper, strawberries, black cherry and hints of other spices like white pepper. 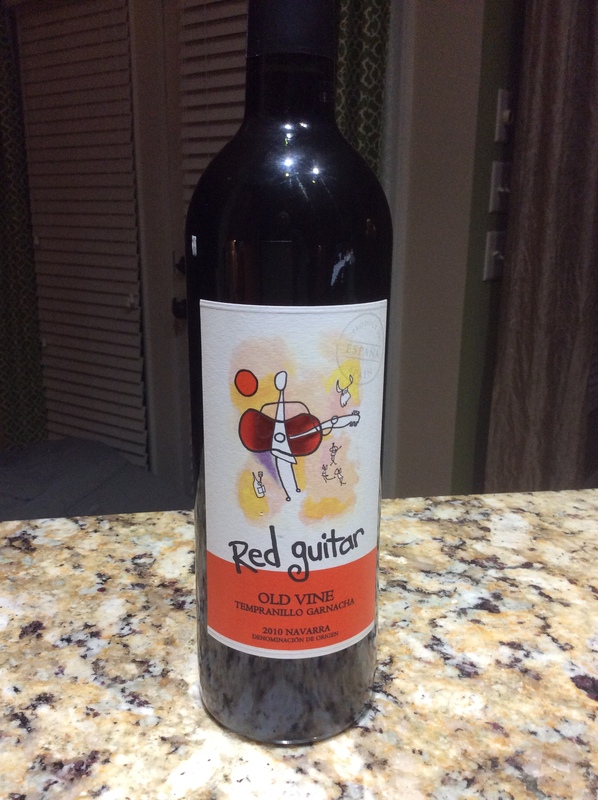 The taste of the Red Guitar blend is fruity with the same raspberry and strawberry and hints of white pepper, with the addition of vanilla bean and oak. Firm tannins and other simple fruit flavors support the finish of each taste. All of this combines to make this a good drinking wine. Serve this paella full of seafood and sausage.